Happy new month. It's April fools day, so beware of people trying to pull a fast one on you. The weather is finally warm enough to dust off my strappy scandals and put them to work. 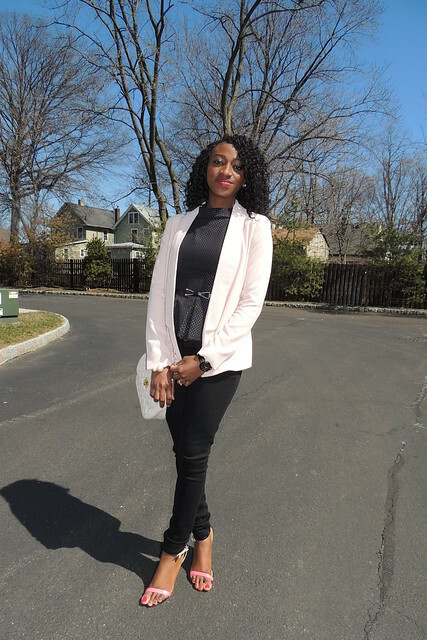 A blush pink blazer is definitely one way to soften an all black look. 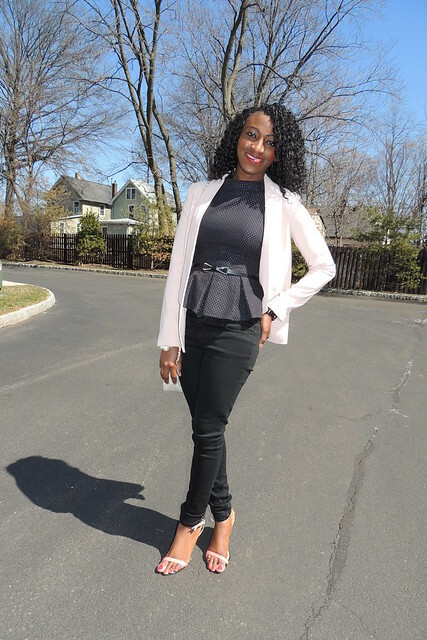 Went casual with a black Jeans and added this hot pink and black strappy to complete the look. You look so good in skinnies! And I love the shoes! Such a good look on you.